The ingenuity of the Indian mind is beyond comprehension. When things go right, they take credit. When things go wrong they taker credit of be fooling everybody with fancy innovated reasons for the unknown. But documents remain. In fit of rage, they leave clues behind, which take over them, as truth bursts with full vigour. O.C. Gangoly is a Bengali legend of Calcutta. In the stream of Art in Calcutta, his tentacles spread all over India, and he pioneered societies and magazines. The monumental work RUPAM edited by him for decades is a testimony of his contribution to the Bengali School of Art. 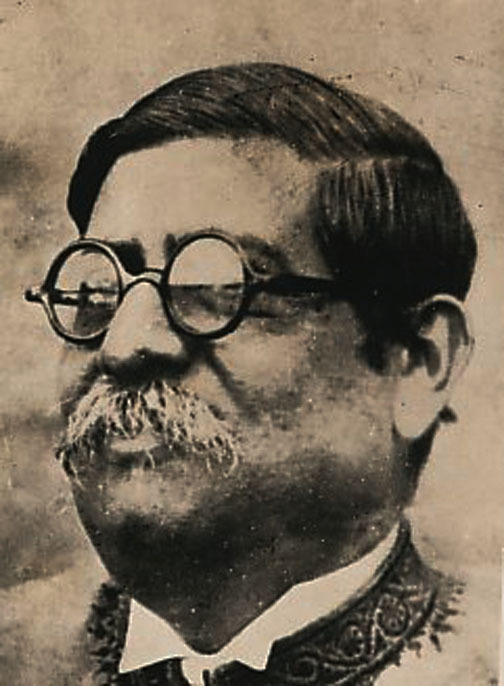 A Christian Principal of Gujaranwala Mission High School, got intimate with drawing Master, Abdur Rahman Chughtai, and looking at his creations of 1916, volunteered to have them printed and published in Modern Review Calcutta. The first and second work of M.A. 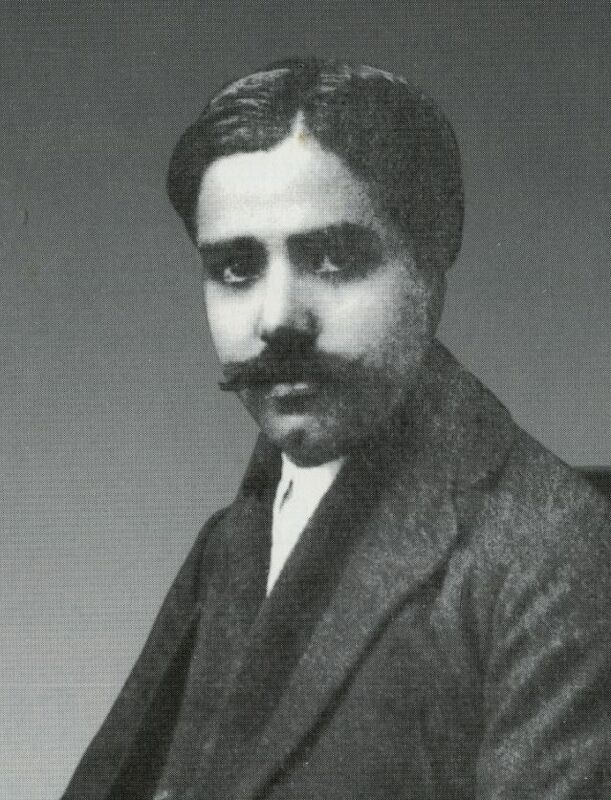 Rahman Chughtai got printed in January and February issues of Modern Review in 1917. It alerted the Bengal School and it riled up O.C. Gangoly. 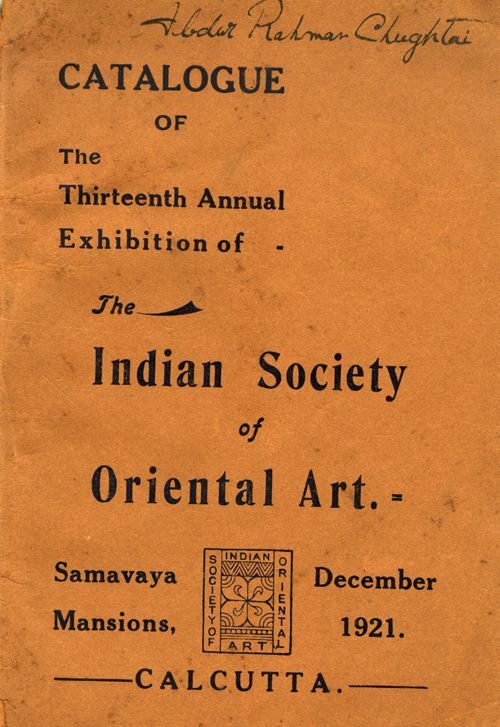 The first Exhibition held in Calcutta with Chughtai in it was in December 1921 and amongst the 71 contestants, and a total of 359 paintings, there were only two Muslim artists. 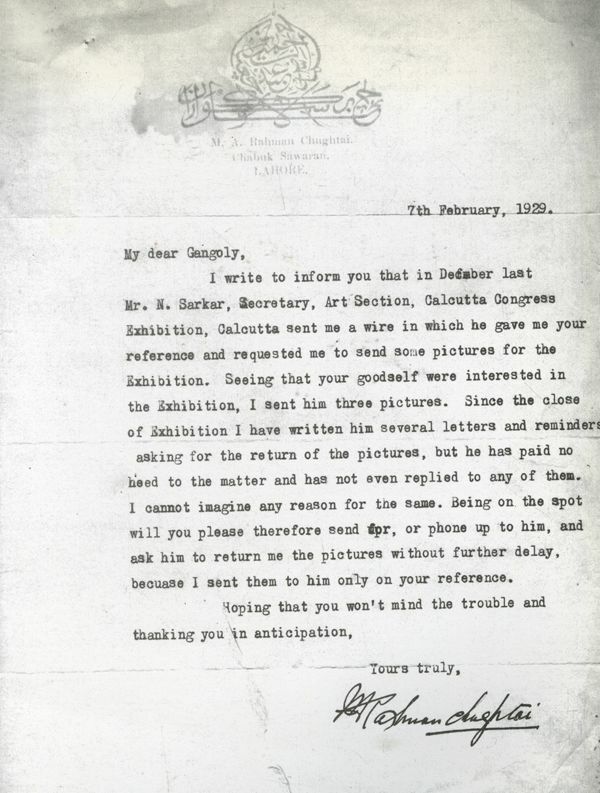 One was Sami us Zama from Lucknow with one work, and the other was Abdur Rahman Chughtai with six works. The works of Chughtai were well received in Calcutta and it provoked the Bengal School in their own homes., A full fledged activation started to debunk Chughtai artist. When works used to be sent to Calcutta for the shows, the works got lost, were displaced or even exhibited (LACK OF SPACE IT WAS SAID) in the toilet rooms of the Exhibition Centers, where no one could see them. O.C. Gangoly was competing as a painter too and went on record in saying that A SINGLE NIGHTINGALE DOES NOT HERALD SPRING. Simply for he hated Muslims, as well as anything associated with Punjab. Punjabis were in front of his eyes DANGARS (animals) and not fit for the civilized world. It provoked Chughtai Artist in saying that THIS SINGLE NIGHTINGALE WILL BRING SPRING INTO THE MUSLIM WORLD. At every turn Gangoly tried his best to bring down Chughtai. In decades of publication RUPAM could print the name of CHUGHTAI only once when LIONEL HEATH wrote about the Wembley show in 1924. He allowed reference to Chughtai no where else. Figment of our imagination. sorry! Gangoly made the mistake of putting his venom down on paper and in sending it to Chughtai. 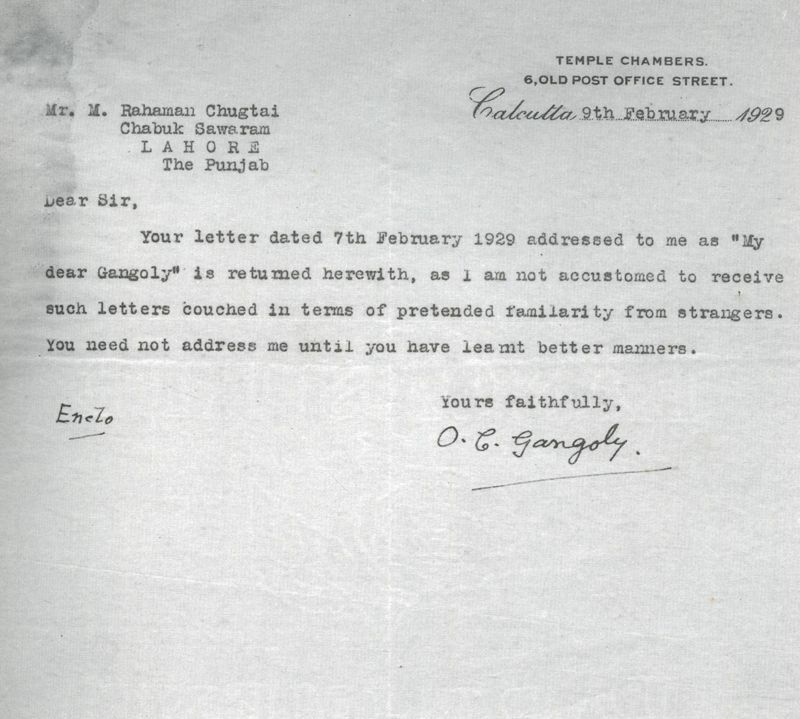 That letter is a record of how the Bengal School treated Chughtai and our ART MORONS (under Indian hands) in Pakistan debunk Chughtai as a Student of Bengal School. Such statements are not only wrong, they are shameless in nature. For the Bengal School itself never claimed such a thing. Nor it ever could. For those interested in knowing more could request our book THE CHALLENGE OF M.A. 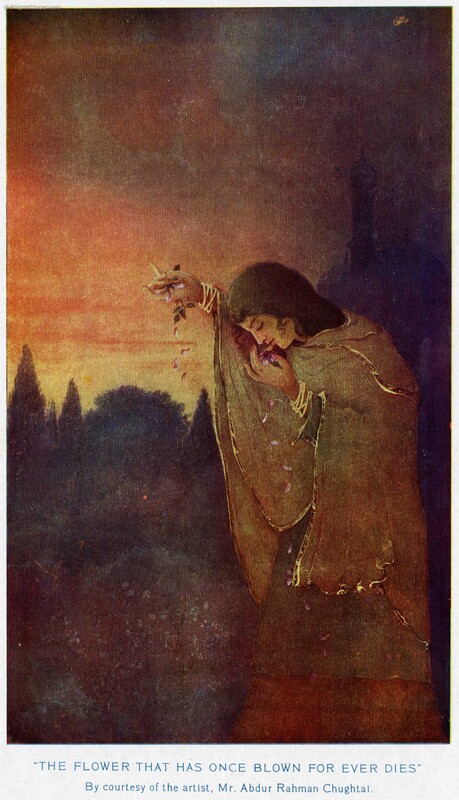 RAHMAN CHUGHTAI TO THE BENGAL SCHOOL OF ART.